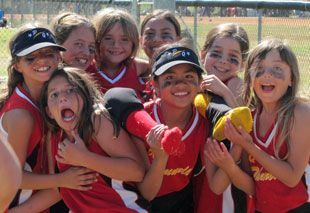 PQGSA (Peñasquitos Girls Softball Association) is dedicated to developing our recreational players into competition level athletes as well as introducing the game of softball to new players. We teach our daughters the importance of working together as a team to accomplish goals through hard work, confidence and sportsmanship. Whether our players remain at the recreational level or go on to play on travel, high school or college teams, they learn lessons that will help them throughout their lives. We are committed to providing excellence training in order to achieve our goal of becoming a premier recreational softball league.